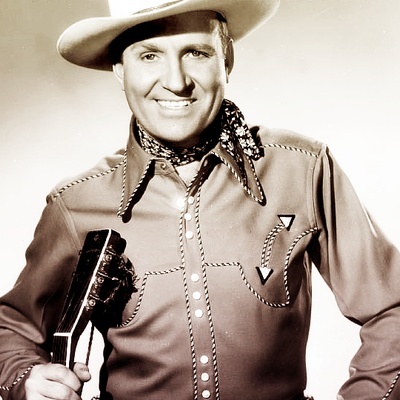 Orvon Gene Autry (September 29, 1907 – October 2, 1998) was an American performer who gained fame as The Singing Cowboy. Autry is the only entertainer to have been honored in all five categories by the Hollywood Walk of Fame, having been awarded stars for his performances in Radio, Recording, Motion Pictures, Television, and Live Theatre/performance. Born in Tioga, Texas, Autry was raised in Texas and Oklahoma.